Guru Patient Education Software. Guru is more than just patient education software. Guru is the powerful patient communication and teaching tool in today‘s dental digital office. It‘s a suite of products which greatly improve communication and understanding wherever a patient interacts with the doctor or staff – be it in the lobby, operatory, at home or on the Internet. It is our mission to positively impact whole patient health. People only remember 11% of what they hear, but about 83% of what they see. It’s estimated that 90% of all case treatment plans that go untreated are a direct result of the patient’s lack of understanding. Brushing: This animated video show in excellent detail the proper brushing technique. Angle the bristles at 45 degrees and brush the sulcus(pocket area where the gums meet the tooth). Flossing: Add Guru Video Flossing close up: This animated video shows close up the proper flossing technique. Don’t just pop the floss through the contact. Wrap the floss in a c shape and gently slide underneath the gums on both teeth. Implant: This video shows the series of steps that a patient will go through when having an implant placed. It begins with a small incision into the gums, and a space is created in the bone. The implant body(a titanium screw) will be placed into the bone. Then a healing cap will be screwed into the implant to save the space for the crown which will be placed in 3-6 months. When the bone has properly fused to the implant an abutment will be placed, this will hold the crown. A lifelike porcelain fused to metal crown will be fabricated by the lad and custom fit to your mouth. Whitening : This video shows up close how the in office whitening system works. The procedure begins with the teeth being isolated so that they are the only thing exposed when the solution is applied. Then the whitening gel is applied to the teeth and out LED light is placed over the mouth. The solution will be removed and replaced 3 more times in 15 min sessions. Our light can be adjusted in intensity for patient comfort. At the end of the 4 sessions your teeth can be 3-8 shades whiter. Some sensitivity can occur with this procedure so please inform the doctor before the procedure takes place if you are prone to sensitivity. Precision Partial: This video shows a new and high tech option to the traditional partial denture. Instead of having the a partial that just sits around the teeth and ca wobble and damage the remaining teeth, the precision locks into a custom made crown for the anchor teeth. This keeps the partial stable and makes speaking and chewing more natural. It will also not wobble as traditional ones do which will help preserve you remaining teeth. Paperless Record Keeping Our dental office is efficient and green with paperless record keeping. All patient information is kept in our advanced computer system for ease of access, security, and accuracy of information. Your records are more up to date and can be easily transferred with other medical and dental doctors for better health and safety of you overall wellbeing. We also offer electronic claims with the insurance companies for more effective payment and accuracy of what your coverage will be. iPad When you walk into our office for the first time all of the necessary information that we need from you will be filled out on an iPad. This is the starting point for your electronic record that will be kept in our secure and advanced computer system. This will also be how you can update your information at later dates if your health history has changed or other personal information has changed. 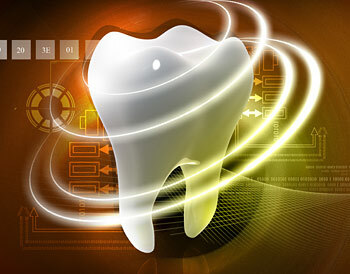 This will help keeps us up to date with you oral health needs.